Here you can find the latest news from Glencrest. Previous new items can be found on our news archive page. 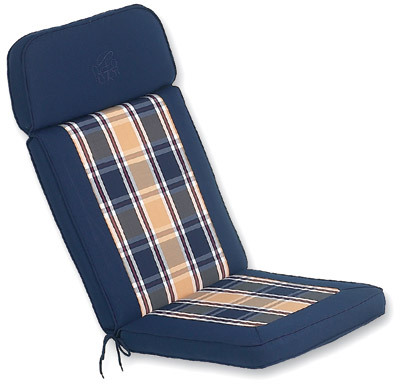 If you are interested in stocking Glencrest cushions, please contact your local representative. To get details of our agents in your area please see our trade contacts page. The BFC welcomes issues highlighted by the recent ‘Fake Britain’ programme. It showed that sofas and mattresses which do not comply with the UK’s strict flammability regulations are on sale in the UK, even through major retailers. The members of the British Furniture Confederation (BFC) are fully committed to supporting the fire safety regulations and have been actively campaigning for more resources to aid more rigorous enforcement by Trading Standards. The BFC is also actively involved in the current proposed revision of the Regulations being carried out by the Department for Business, Innovation and Skills (BIS). The BFC is working to ensure any revisions will not weaken the current regulations, which would be detrimental to UK consumer safety. The aim is to make the regulations easier to understand and meet, thereby hopefully reducing the amount of non-compliant furniture making its way onto the market. To ensure safety, the BFC recommends that consumers buy furniture produced by a member of recognised trade association committed to high standards, such as BFC members, the British Furniture Manufacturers Association (BFM), the National Bed Federation (NBF), Leisure and Outdoor Furniture Association (LOFA) and British Contract Furnishings Association (BCFA). In addition consumers should select product that has been tested for compliance by independent testing laboratories such as FIRA International. 2 - ‘The Effectiveness of the Furniture and Furnishings (Fire) (Safety) Regulations 1988’ – a report commissioned by the DTI’s Consumer Affairs Directorate, carried out by the Polymer Research Centre, School of Physical Sciences, University of Surrey, published June 200o and updated in 2005. 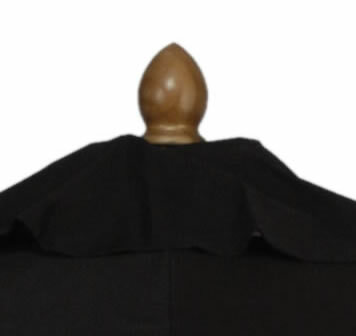 Editors’ Note: The BFC was set up by the Furniture Makers Company, the City of London livery company, to bring together furniture industry trade associations and membership bodies with the principle aim of engaging with government at all levels regarding matters of concern within the furniture, bed and furnishing industry. Its members include: the British Contract Furnishing Association (BCFA), the Association of British Furniture Manufacturers (BFM), the National Bed Federation (NBF), the Furniture Industry Research Association (FIRA), the Leisure & Outdoor Furniture Association (LOFA), the Association of Master Upholsterers and Soft Furnishers (AMUSF), the Interior Designers Association (IDA), and Anti-Copying In Design (ACID). The BFC employs the services of political consultants Brevia Consulting to advise it on government activity and to provide the secretariat of the All Party Parliamentary Furniture Industry Group, chaired by Stevenage MP Stephen McPartland. 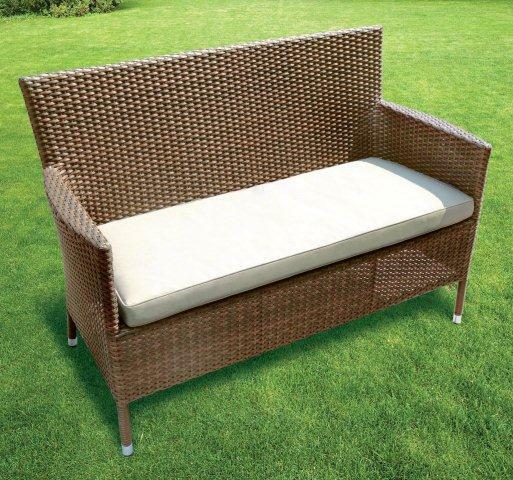 The expanded range of Katie Blake outdoor rattan weave furniture has taken off big time. Following its introduction last season which let's face it was the worst season ever, our customers actually sold out. 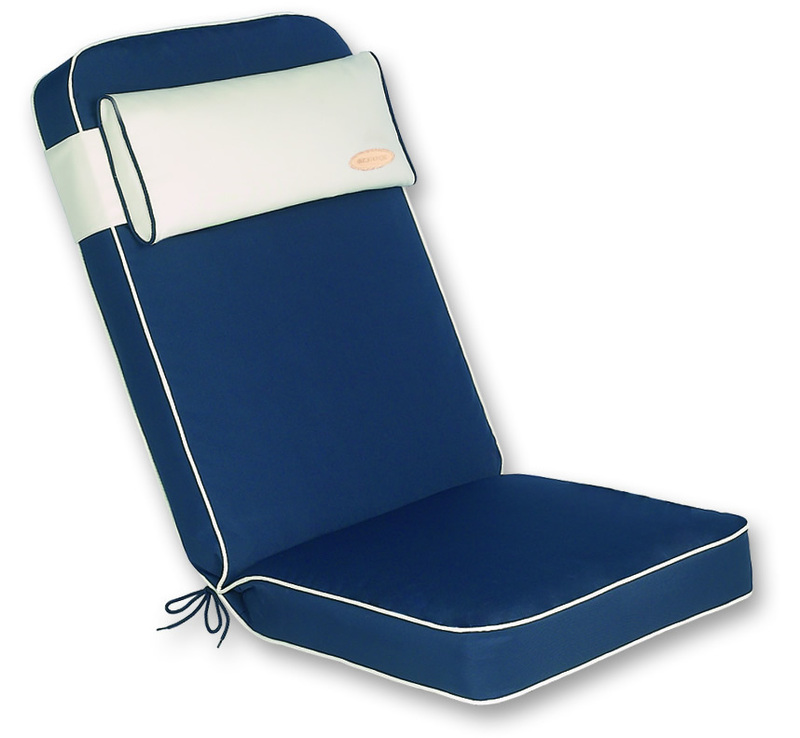 This season we have increased the range dramatically adding in even more best sellers like a 2 seat bench a stacking chair set fully dressed and a larger range of day beds. There are also many other new items all based on top selling products. We are not really offering obscure things that don't sell! 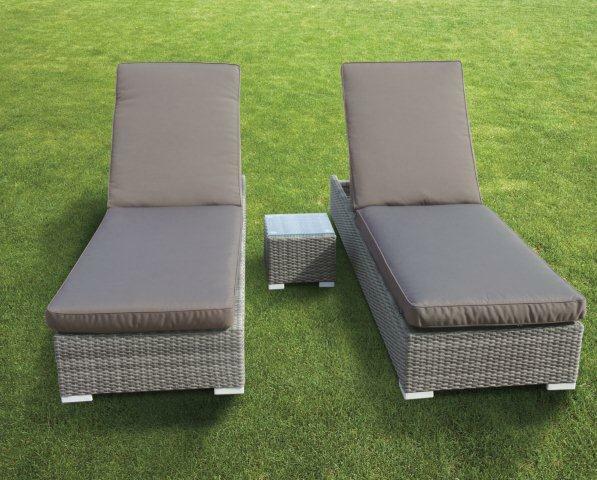 The Dove Grey weave with coordinating Grey Cushions and Parasols has really taken off out selling the tradition brown weave. 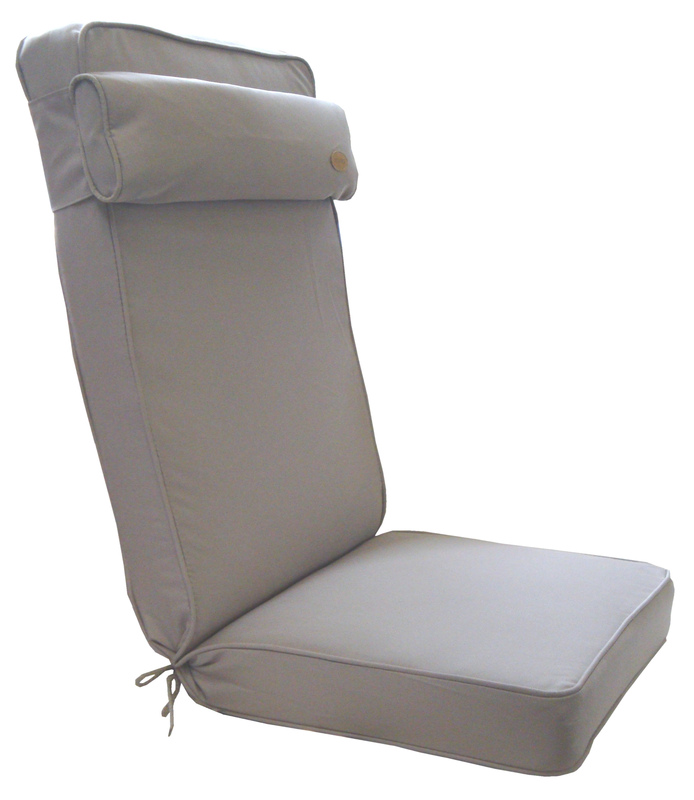 Available accross the range the Dove Grey is something different and has good consumer appeal. Our Bronze Weave a version of Brown with a little gold fleck in it is also selling well and will still be our best selling colour at the end of the season. Customers were generally very pleased during 2012 with our quality particularly given our competitive prices and have re ordered for 2013. 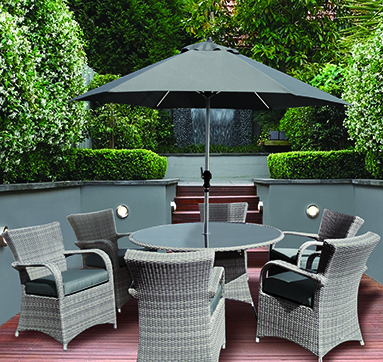 The sets look really smart with our Polished Aluminium Parasols, Alumium Table Parasol rings and good quality cushioning. Have a look at the range at www.katieblake.co.uk or click on the link at the bottom of the page. 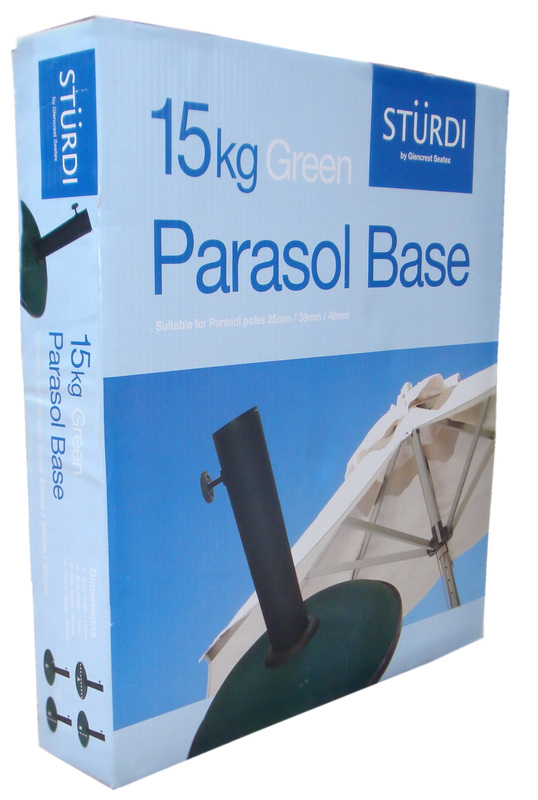 You can either buy from our UK warehouse or by container where you will find prices are unbelievably competitive. 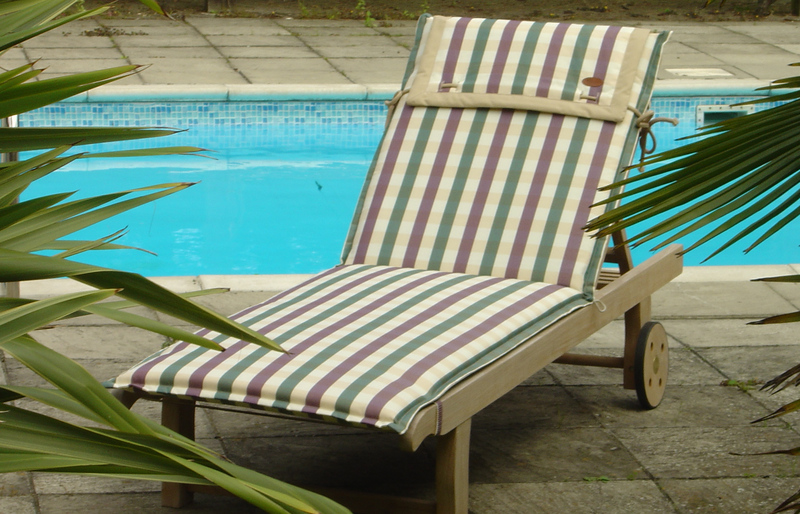 Everyone knows that the quality of our Cushions and Parasols is second to none and it follows that our furniture is made to the same quality and care. Glencrest are pleased to announce that we have been acredited with the Made Aware Scheme for all our products. Glencrest Seatex are pleased to announce that they have been fully accredited by the Forestry Stewardship Council and are now fully FSC registered. 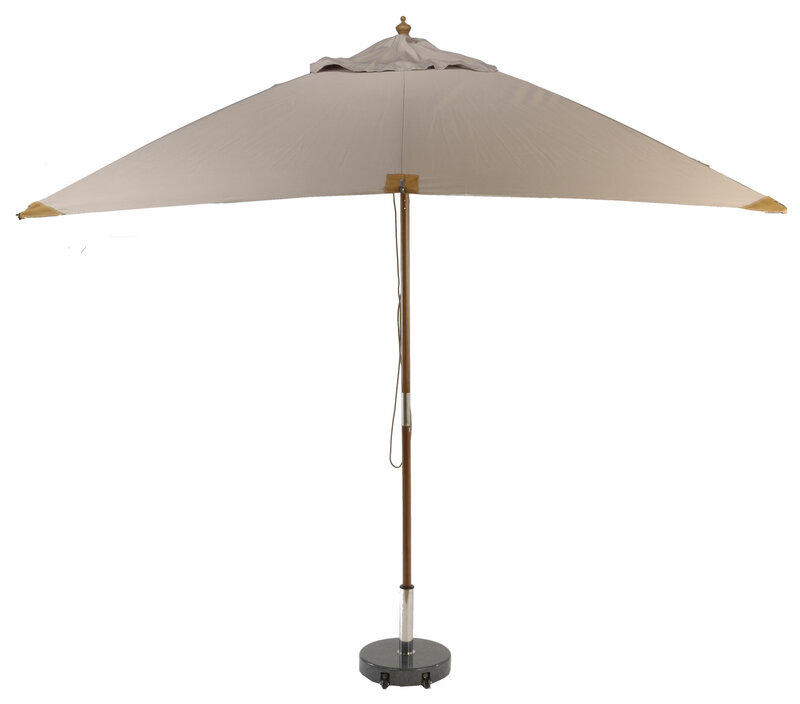 The sturdi+ range of Parasols uses 100% pure Eucalyptus wood. 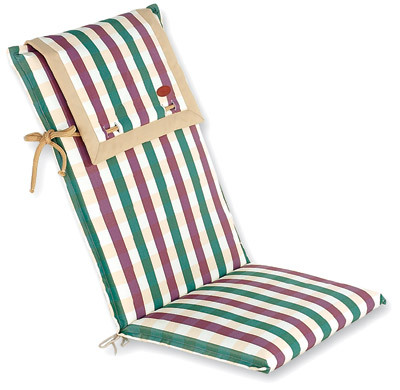 For 2011 we are bringing back our famous Colonial Collection with three fabric designs in Cappuccino, Navy Check and Green Mini Stripe. 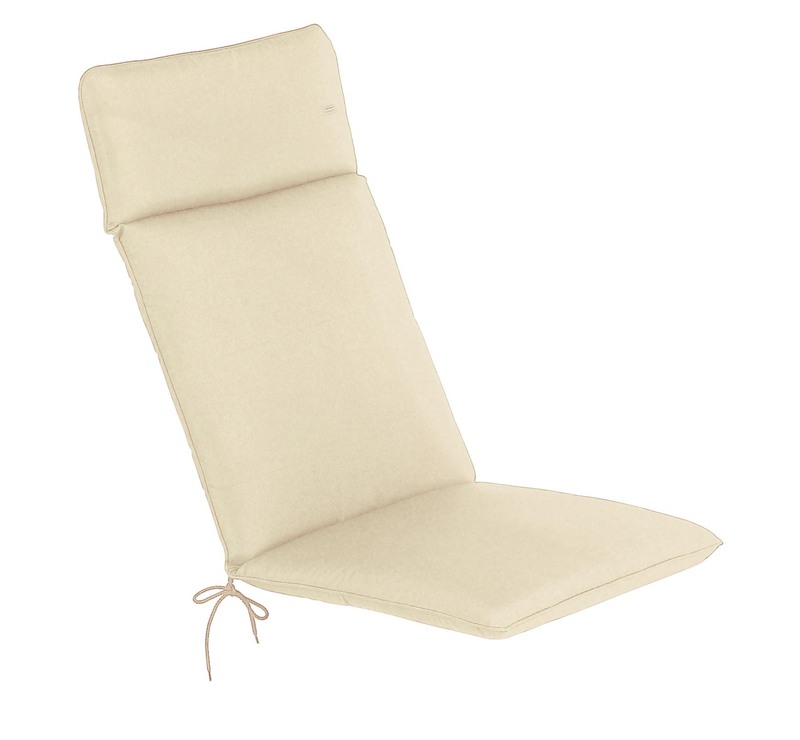 These popular cushions with smart boxed and double piped edges form our mid priced range. 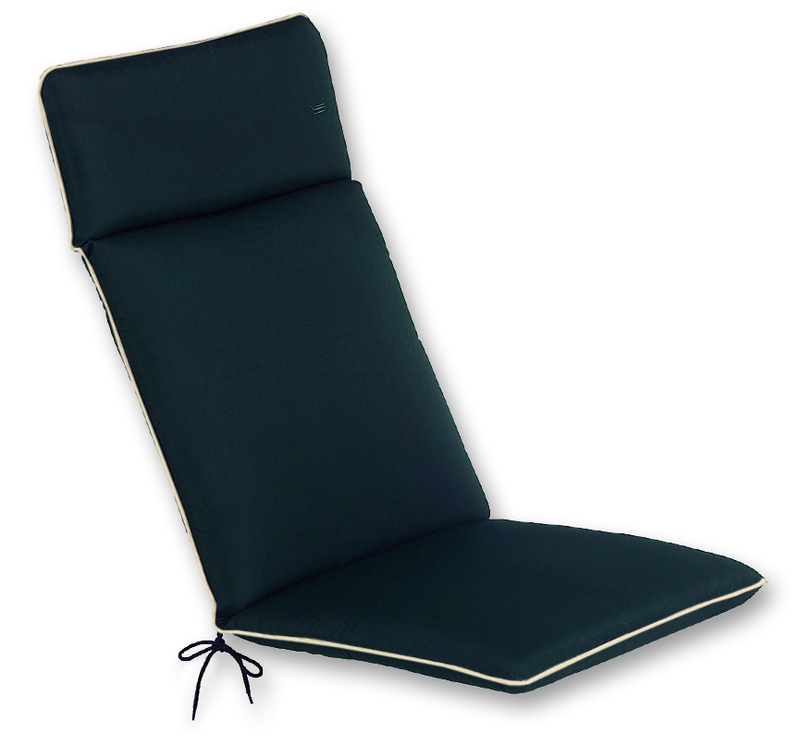 Produced in 100% Polyester with 100% Fibre Fillings they cover the entire range of cushions from Pads to Steamer and Lounger. The best selling CC collection reamins the same with five colour choices. Green, Black, Natural, Navy, Terracotta and Taupe. Simple plain cushions with a piped edge in 100% Polyester provides a fast selling range at competitive prices. 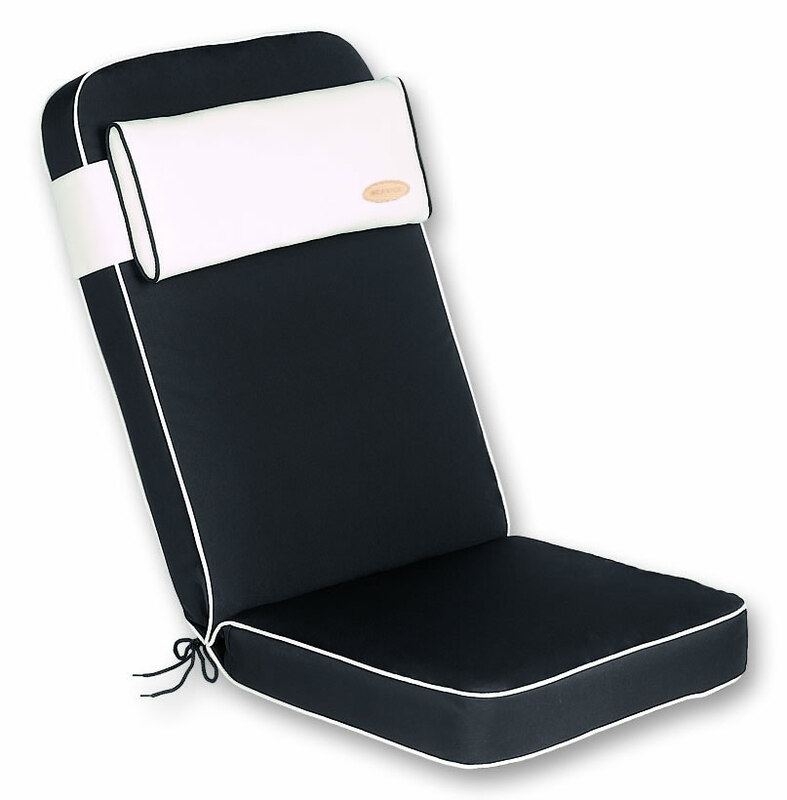 Supplied in smart zipped and printed hanger bags for good point of sale the bags can be used for storage keeping the cushions clean and tidy. 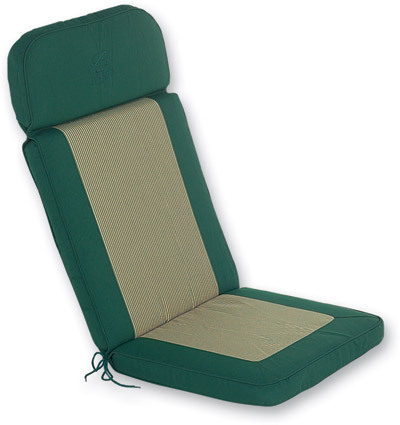 Superior range of cushions in heavy duty Polyester with deep padding. 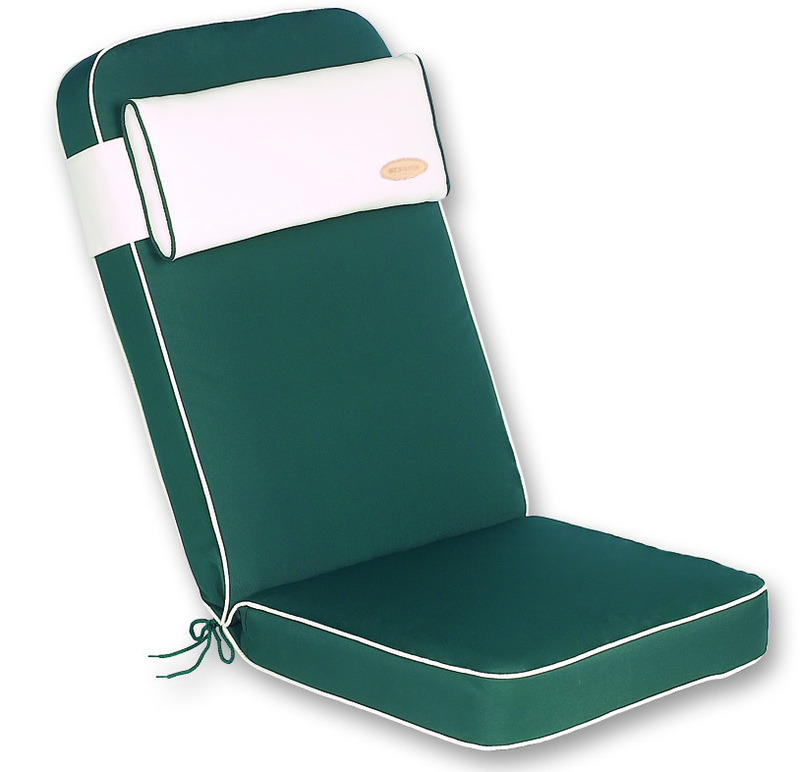 Boxed and Piped to both edges with a removable head reast for the Recliner, Steamer and Lounger. 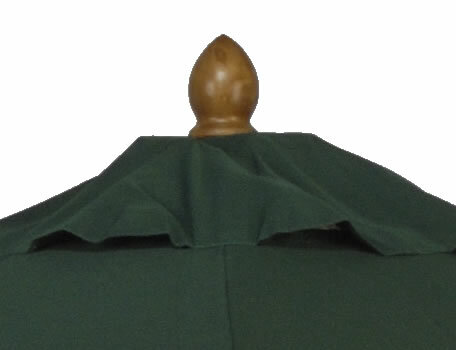 Fabric available include Plain Green, Black, Cappuccino, Navy, Terracotta and Taupe. 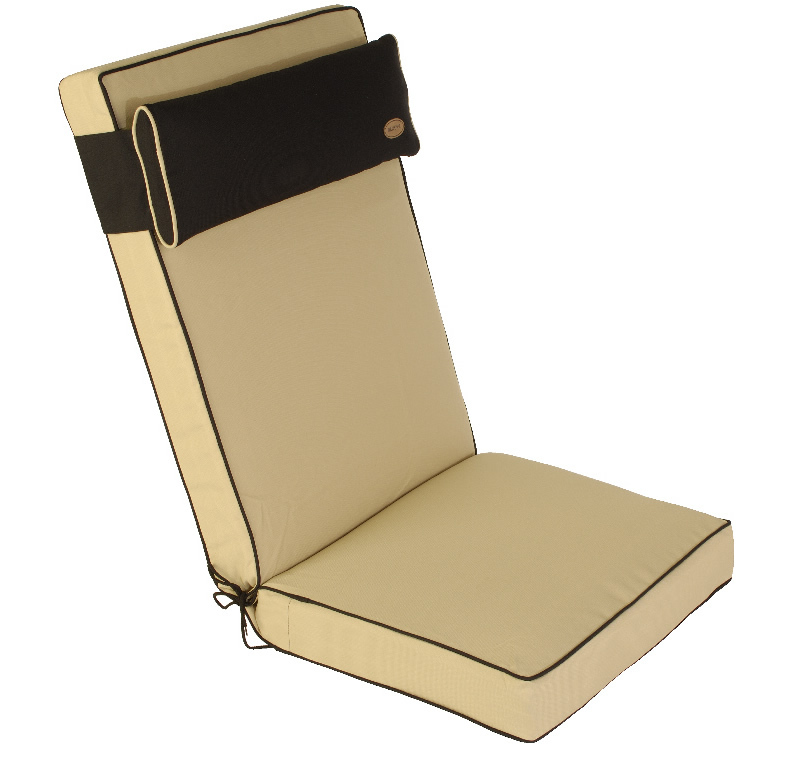 Supplied in printed hanger bags with Bespoke leather Logo this range provides a really top end range of cushions for the most discerning customer. 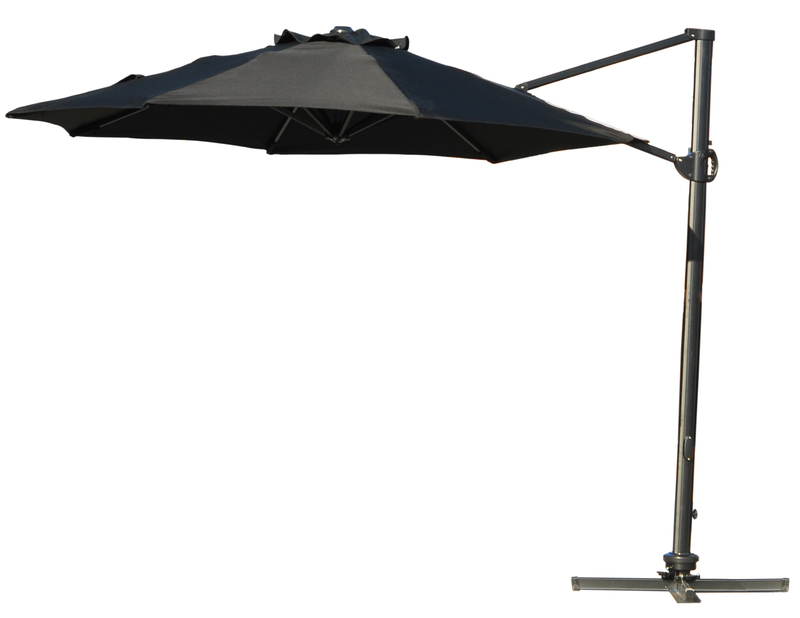 We have increased the range even further now offering an amazing selection of high quality parasols in both Wood and Aluminium. 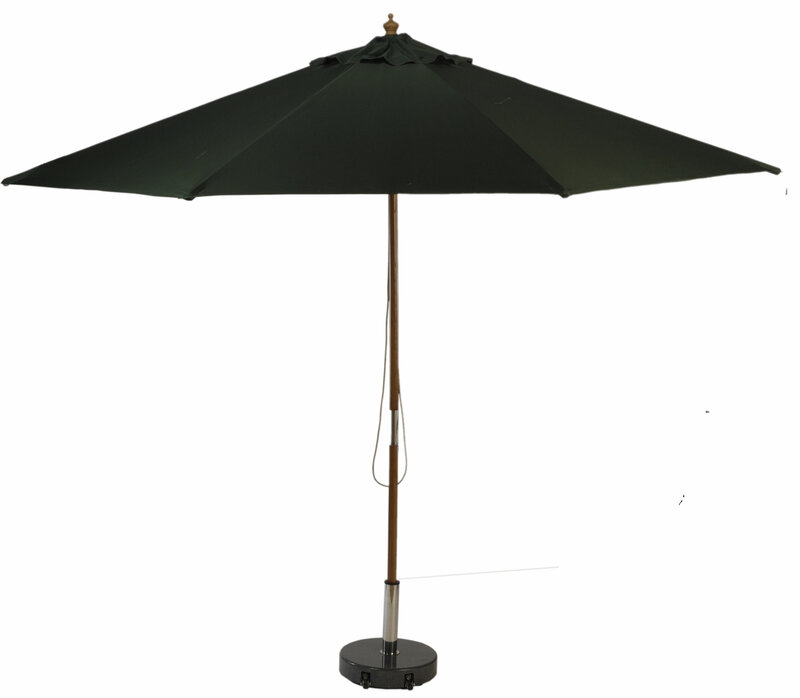 The quality of our parasols is second to none and with NEW 4 colour cartons for 2011 they will definately be best sellers. High quality hardwood with stainless steel fixings, shower proof covers and UV rating at 50+. 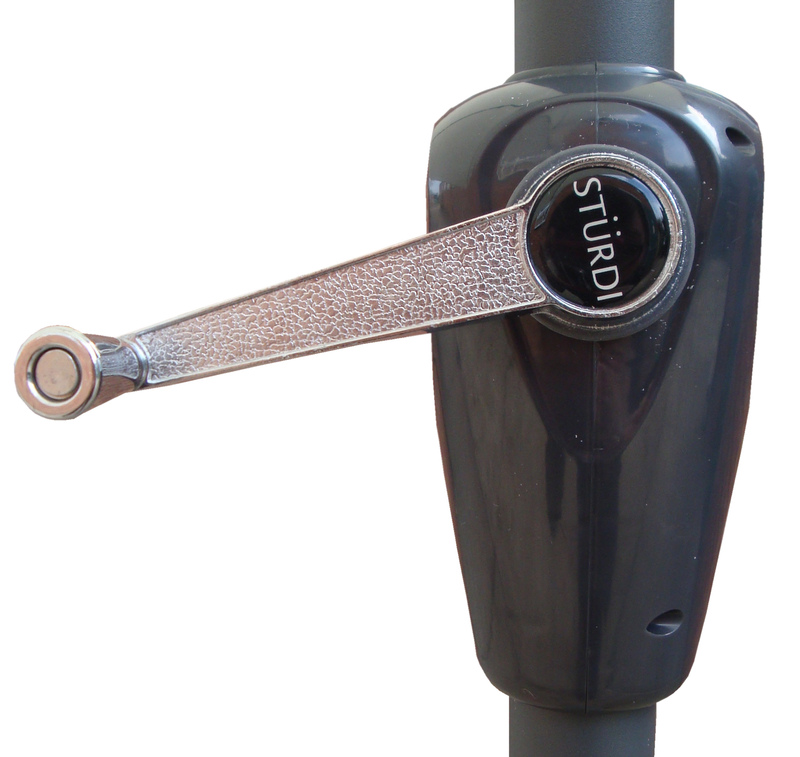 The strudi range is packed into 4 colour display cartons for 2011 making a good point of sale feature. Easy to display and for your customer to self select. 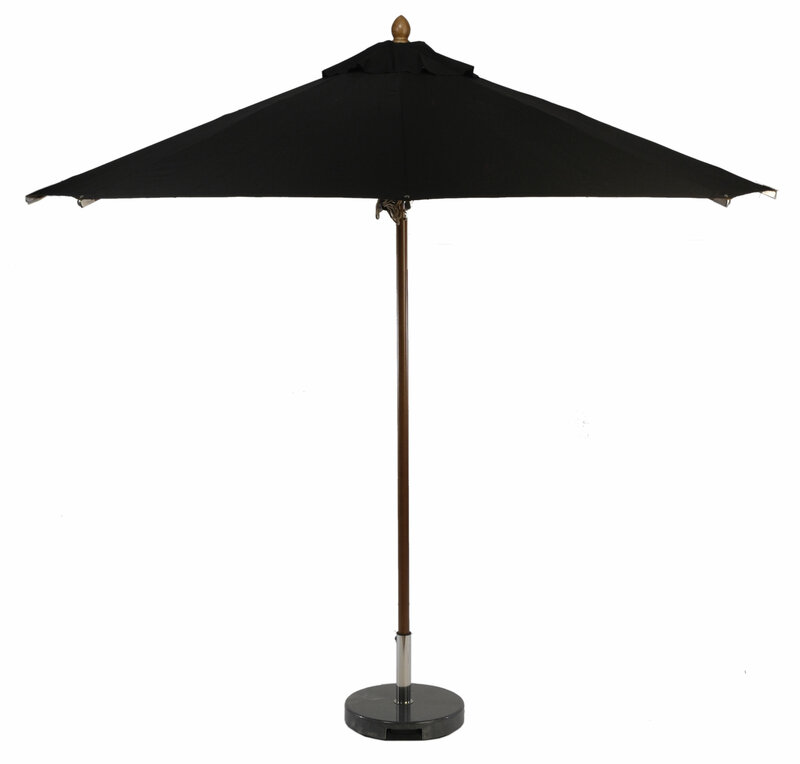 Using Eucalyptus wood with full FSC accreditation these parasols are exceptional quality. 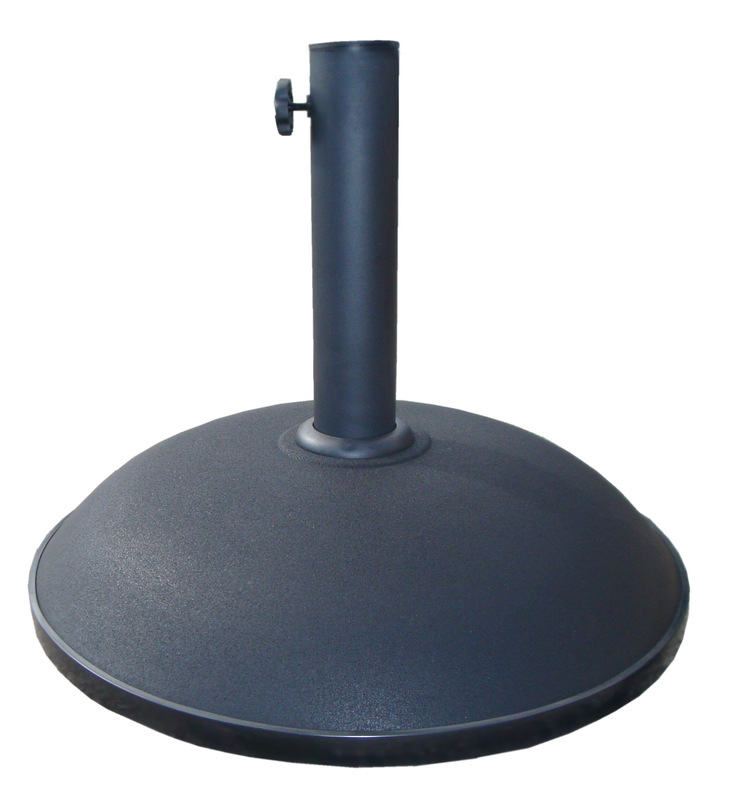 Leather and stainless steel end caps with dual pulleys these parasols are exceptional quality. Supplied in printed brown and black cartons. 230 gram Polyester fabric provides a strong and fade resistant canopy. 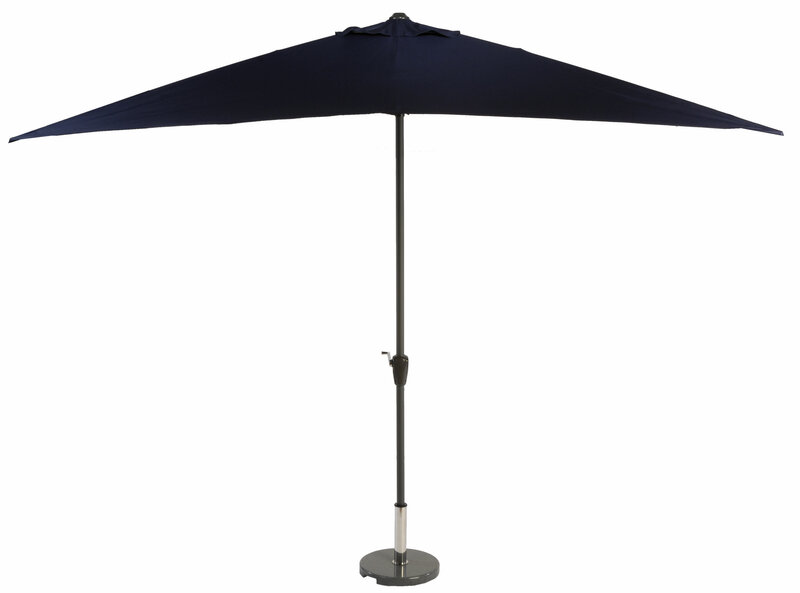 Intended for use in a commercial and contract market these parasols are what is needed. 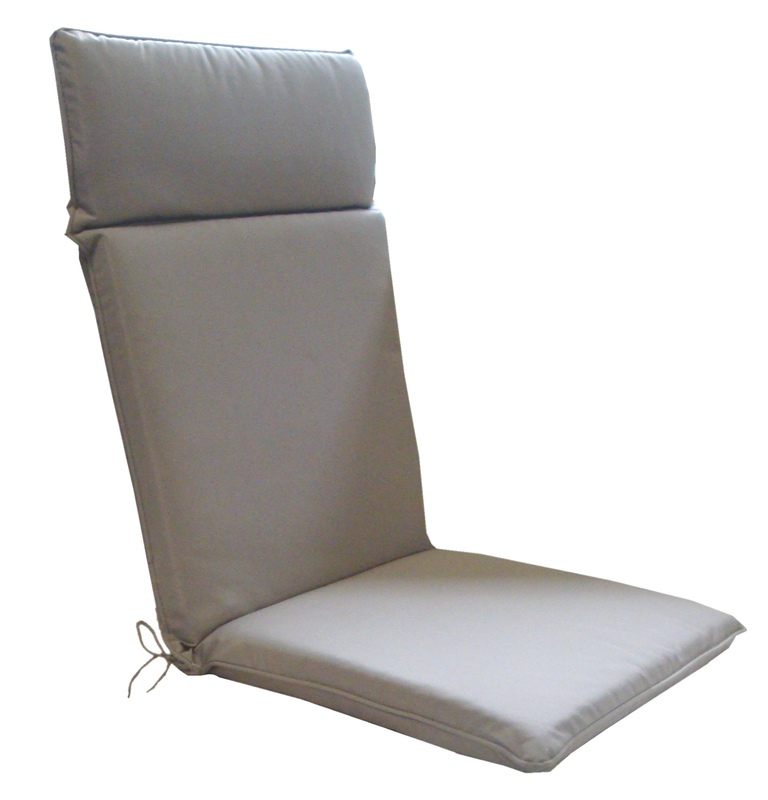 Strong stainless Steel fixings and heavy weight polyester fabric. 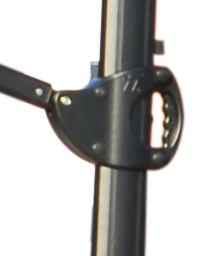 The bottom pole is one sold piece. An extended range for 2011 due to the success of our 2010 range. 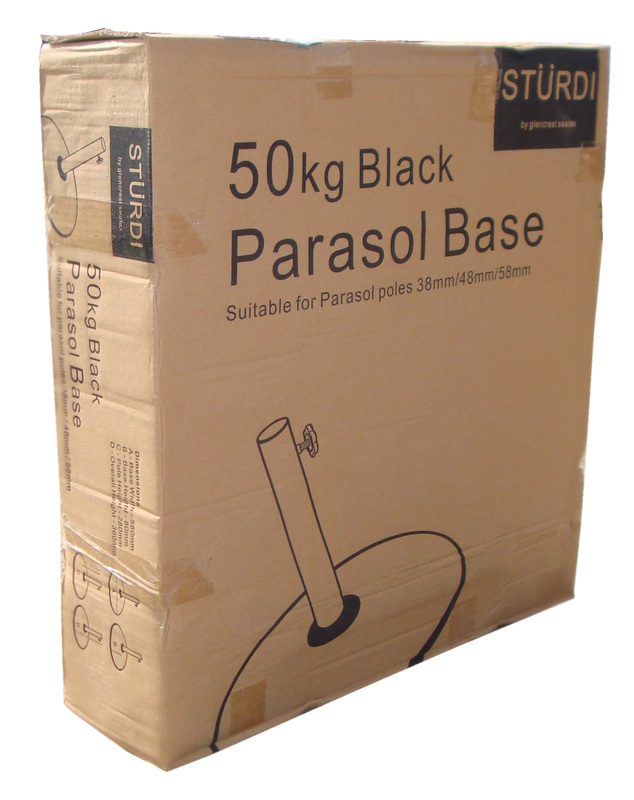 The basic Sturdi+ range comes in 4 colour display cartons, new for 2011. A massive selection is always in stock in 6 colours. 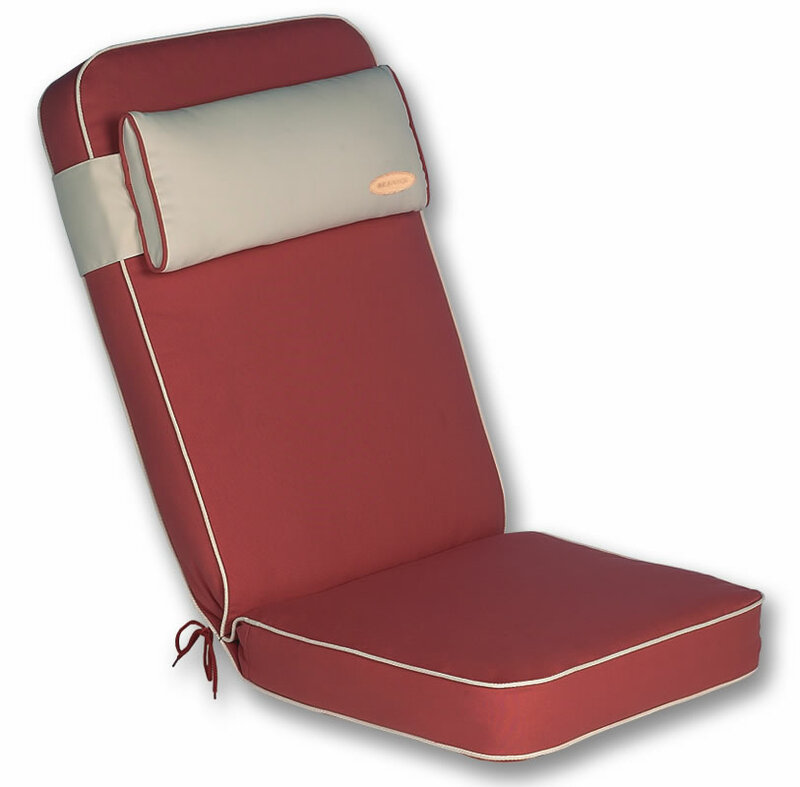 At the price these are best sellers and we have increased our stock holding for 2011. 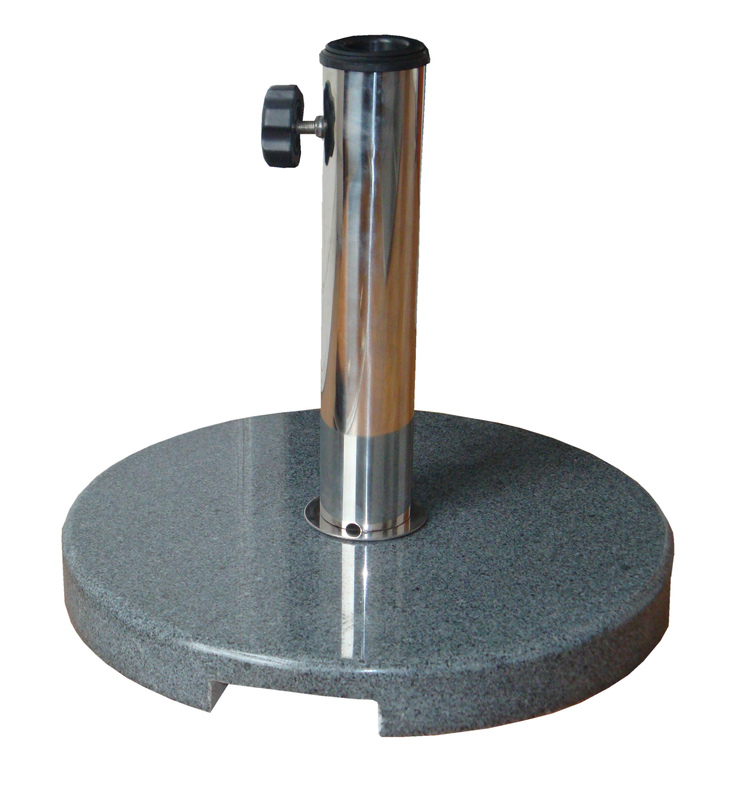 Concrete and Granite bases form the range for 2011. The concrete bases are packed into 4 colour cartons. (50 kilo brown printed) The Granite bases are fantastic quality and we have increased the range this coming season. For the 2013 season the Colonial range will be discontinued. We have some stock at clearance prices for those interested.